Atlante Hotels, in Rome, is the hotel group in the heart of the eternal city. 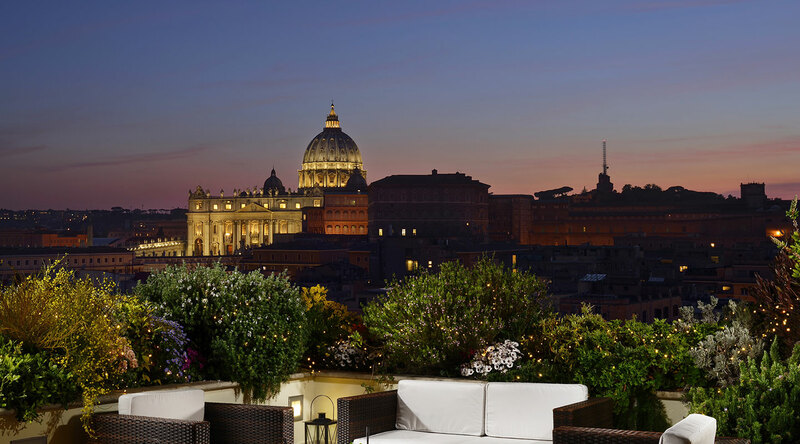 It is composed by two 4 stars hotels which are inches away from Vatican City and San Pietro. Atlante Hotels also offers two terraces with a stunning view, one of which is equipped with a bar for happy hours and brunches, as well as a renowned panoramic restaurant, Les Étoiles, where you can taste delicious meals, while admiring the San Pietro cupola.